In the tragic recent history of Cambodia?a past scarred by a long occupation by Vietnamese forces and by the preceding three-year reign of terror by the brutal Khmer Rouge?no figure looms larger or more ominously than that of Pol Pot. As secretary of the Central Committee of the Communist Party of Kampuchea (CPK) since 1962 and as prime minister of Democratic Kampuchea (DK), he has been widely blamed for trying to destroy Cambodian society. By implementing policies whose effects were genocidal, he oversaw the deaths of more than one million of his nation's people.The political career of Saloth Sar, better known by his nom de guerre Pol Pot, forms a critical but largely inaccessible portion of twentieth-century Cambodian history. What we know about his life is sketchy: a comfortable childhood, three years of study in France, and a short career as a schoolteacher preceded several years?spent mostly in hiding?as a guerrilla and the commander of the victorious army in Cambodia's civil war. His career reached a climax when he and his associates, coming to power, attempted to transform their country along lines more radical than any attempted by a modern regime. 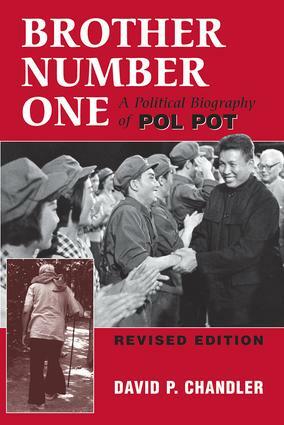 Driven into hiding in 1979 by invading Vietnamese forces, Pol Pot maintained his leadership of a Khmer Rouge guerrilla army in exile, remaining a power and a threat.In this political biography, David P. Chandler throws light on the shadowy figure of Pol Pot. Basing his study on interviews and on a wide range of sources in English, Cambodian, and French, the author illuminates the ideas and behavior of this enigmatic man and his entourage against the background of post?World War II events, providing a key to understanding this horrific, pivotal period of Cambodian history. In this revised edition, Chandler provides new information on the state of Cambodia and the Khmer Rouge following the death of Pol Pot in 1997.